Many of the most famous stories from Greek mythology see heroes and gods fighting against monstrous beasts, and indeed these monsters were integral to the tales. As a result many of the monsters are better known than their opponents, although this is not always the case. When looking at the monsters of Greek mythology there is no better place to start than with Echidna and Typhon, monsters in their own right who were partnered together. One of the names by which Echidna was “mother of monsters” and this is indicative of her importance in the stories of many other monsters. Echidna, according to Hesiod, was the offspring of the sea deities Phorcys and Ceto. Known as the Drakaina Echidna, Echidna’s body comprised of a lower half of a serpent and the upper half of a beautiful nymph. Belying her beautiful upper body, Echidna was also known to have had a taste for human flesh. Echidna was said to reside in a cave in Arima, with her partner Typhon. Typhon was regarded as being even more monstrous than Echidna. Typhon, also known as Typhoeus, was the offspring of the Protogenoi Tartarus and Gaia. In terms of appearance Typhon was basically half-man and half-serpent, but he also had hands comprised of a hundred dragon heads. Typhon was also monstrous in terms of size, for Typhon was said to be able to reach the stars high in the heavens. Typhon was said to have been the deadliest of all the monsters in Greek mythology, and at one part he would threaten even Mount Olympus. When Typhon and Echidna decided to make war with the Olympian gods, all bar Zeus and Nike, fled before them. Typhon and Zeus would face each other in an epic battle, a battle which Zeus only just wo, but as a result Typhon would be buried beneath Mount Etna. Echidna would be allowed to return to her cave in Arima, but eventually she would be killed by the one hundred eyed giant, Argus Panoptes. Echidna and Typhon might well have been the most monstrous of all creatures from Greek mythology but it is their offspring who are more famous. The Colchian Dragon, as faced by Jason, the Crommyonian Sow, who was killed by Theseus, and the Chimera, who was killed by Bellerophon were all children of Echidna and Typhon. A whole series of children though were encountered by Heracles including the Lernaean Hydra, the Caucasian Eagle, Orthus, and Cerberus, all of whom, bar Cerberus, were killed by the hero. Then the Sphinx and the Nemean Lion were offspring of two Echidna and Typhon’s children, being born to the Chimera and Orthus. ​Of course not all of the monsters from Greek mythology come from the family line of Echidna and Typhon; and the likes of Campe (Tartarus and Gaia), Python (Gaia), Charybdis (Pontos), the Ismenian Dragon (Ares), the Trojan Cetus and Aethiopian Cetus and Ladon (Phorcys and Ceto) certainly weren’t. All of the monsters talked of so far have been born monstrous, but other famous monsters came about because of the interference of the gods and goddesses of the Greek pantheon. One of the most famous monsters in Greek mythological tales is the Minotaur, the half-bull, half-man, who had a penchant for Athenian youths. The Minotaur though was born to Pasiphae, the wife of King Minos of Crete, due to the manipulation of Poseidon. Minos had angered Poseidon by not sacrificing a bull to the god, and so Poseidon had Minos’ wife fall in love with the animal. As a result, the Minotaur roamed the labyrinth of Knossos until the Greek hero Theseus came along. Medusa is another famous monster from Greek mythology, and in one version of the myth, the Gorgon Medusa was once a beautiful attendant in one of the goddess Athena’s temples. In the temple though Medusa was raped by Poseidon and for that act of sacrilege Medusa was punished, with Athena turning her into the woman with hair of snakes and the stony gaze. Medusa would go and live in a cave near the other Gorgons, before Perseus encountered her on his heroic quest. Likewise, in one version of the Scylla myth, Scylla was also a beautiful maiden who managed to anger a goddess, be it Amphitrite or Circe; the goddesses just being angered because Scylla was beautiful. 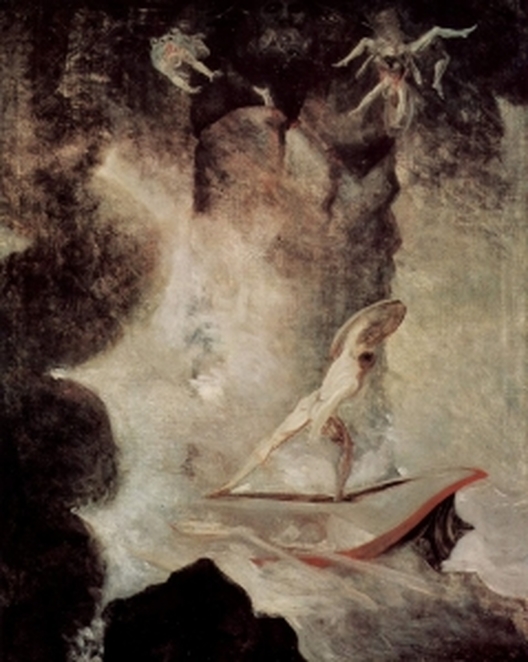 As a result, Scylla would be transformed by a potion into a monster, and would work in tandem with Charybdis to cause the death of many a seafarer. All the monsters mentioned so far had been both monstrous in appearance and deed, but there were many other characters in Greek mythology who were perhaps monstrous in appearance but would side with the gods of Mount Olympus. Most notable of these were the two sets of brothers born to Ouranos and Gaia, the Hecatonchires and first generation Cyclopes. The Cyclopes were gigantic in size, and of course had one central eye, but they worked as craftsmen for the gods, whilst the Hecatonchires were even bigger in size and had 100 hands but they fought with Zeus during the Titanomachy.